Ask a consultant when they use any of the 12 magic frameworks from Case in Point in their daily work. The answer will be “never”, 100% guaranteed. This fact in itself should raise alarm bells. What's wrong with pre-packaged frameworks? They lead you to force-fit a case into one of the frameworks and build your solution based on the thoughts of a random strategy guru rather than the client's priorities! Since pre-packaged frameworks will hardly make you shine on their own, you will have to craft a tailored framework for every case. It might require more effort and be more time consuming, but this is what consultants (including your interviewer) do in their real projects and what they want you to do. When faced with a question about a business problem, your focus should be “what is the single, key, most important success criteria for the client?". That should be your rising star and focal point of your structure. Start building your framework only when that question is clear in your mind and make sure that the framework itself answers that question. initially, this concept looks pretty intuitive. However this is radically different from the typical one size fits all framework approach. Let’s examine why with a simple case question. Our client is PharmaCorp, a Dutch pharma company specializing in researching, developing, and selling “small molecule” drugs. This class of drugs represents the vast majority of drugs today, including aspirin and blood-pressure medications. PharmaCorp is interested in entering a new, growing segment of drugs called “bionics”. These are complex molecules that can treat conditions not addressable by traditional drugs. R&D for Bionics is vastly different from small molecule R&D. PharmaCorp wants to jumpstart its biologicals program by acquiring BioHealth, a leading bionics startup from the Silicon Valley with a promising drug pipeline. In addition to that we will compare the acquisition price with a fair estimate of future earnings and evaluate potential takeover alternatives. 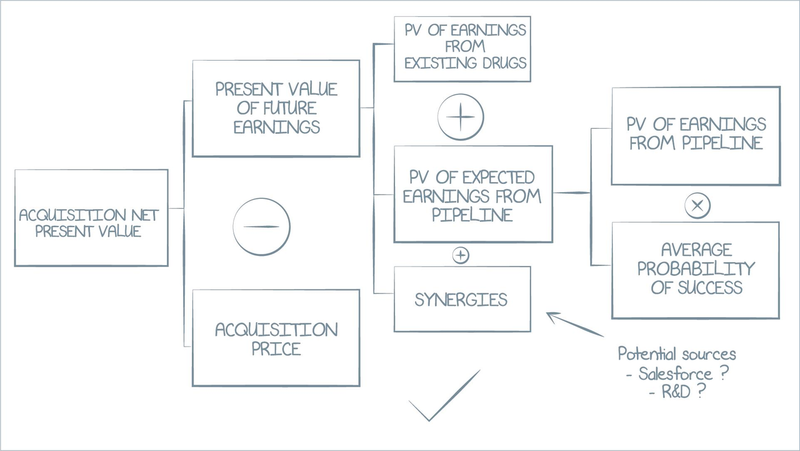 This analysis would enable us to estimate net present value of this acquisition, which we should compare to the one from other acquisitions to make sure we are not forfeiting better opportunities. WHAT IS THE DIFFERENCE BETWEEN THE TWO FRAMEWORKS? Bottom line: when using the priority driven framework you’ll have to think about the client as if you were in a real consulting project, while if you use the standard framework, you’d have to think about the last casebook you read. If you are working in consulting for real you would not even consider using the standard framework, you would use a problem-driven framework. And, since your interviewers are consultants, guess which one they would prefer? Existing frameworks are good study aids, they should just be used in the right way. Some concepts are basic strategy ideas that are good to keep in mind, such as the difference between value based pricing and cost based pricing. In other situations they can be useful as a check list to make sure you don't leave anything off your radar, such as the Porter 5 forces when analysing a market (although it's better to never tell the interviewer you are using them). In summary, frameworks should just be used for what they are: (overly) simplified methods of solving generic problems. 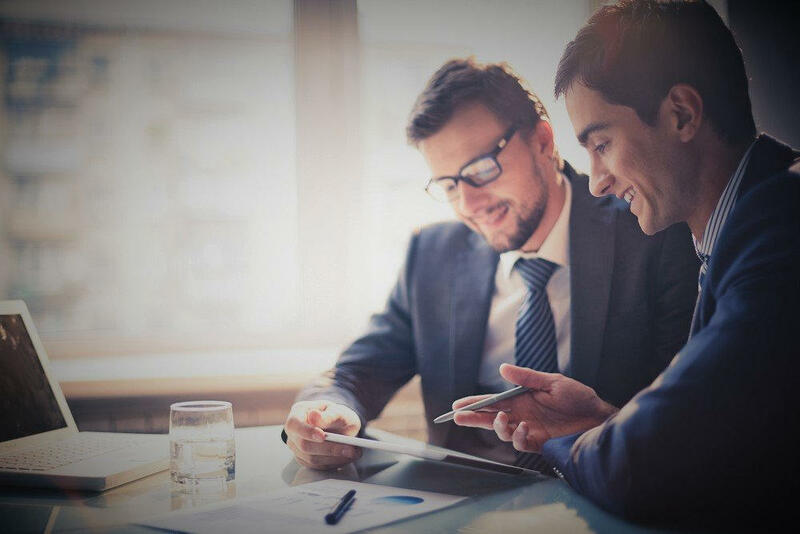 The difference between My Consulting Coach and other preparation websites is that our case interview coaching programmes don't teach you frameworks, they teach you to think like a consultant. This includes the ability to create frameworks that are simple, effective and, most of all, relevant to the case you are dealing with. It definitely requires more hard work than just learning standardized frameworks, but that's what they are expecting from the 2% of applicants that make it into consulting.